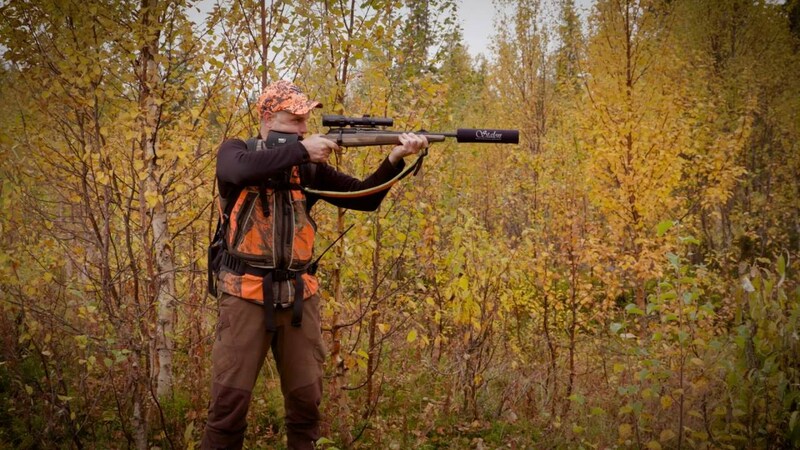 We develop and manufacture outstanding silencers/suppressors for hunting and shooting. Our unique recipe to develop reliable and effective products is absolutely unrivaled. Passion and knowledge, the two most important components of our successful recipe. Stalon products are manufactured and developed with extraordinary accuracy and experience, where nothing is left behind. Perfectly balanced between performance, size and endurance, the most important features for a great adventure. Our philiosophy of quality hunting is Inspired from the raw nature of Lapland, Sweden. RM presents an excellent performance and efficiency for smaller calibers (cal. .17 to .22). VICTOR presents an exceptional combination of super low weight (285 g) and small size. Performance is one of ist biggest strengths for smaller and mid-size calibers (cal. .22 to .308). VICTOR-series perform better than W110 in smaller callibers, e.g. 6,5 mm and .243. This model builds teleskopically over the barrel. Threads: M12x1-18x1, 1/2"-20, 1/2"-28, 5/8"-18, 5/8"-24. VICTOR L presents an exceptional combination of super low weight (325 g) and small size. Performance and efficiency is one of its absolute strengths for smaller and mid-size calibers (cal. .22 to .308). VICTOR-series perform better than W110 in smaller callibers, e.g. 6,5 mm and .243. This model builds teleskopically over the barrel. W110 presents an exceptional combination of low weight (380 g) and short extension (110 mm), for optimal feeling and balance to the weapon. W-series models allow the user have to change the front part/module to different calibers and situations. This model builds teleskopically over the barrel. W145 presents an exceptional combination of low weight (440 g) and excellent performance. Larger front part than W110 for even better performance, extension (145mm) . W-series models allow the user to change the front part/module to different calibers and situations. This model builds teleskopically over the barrel.